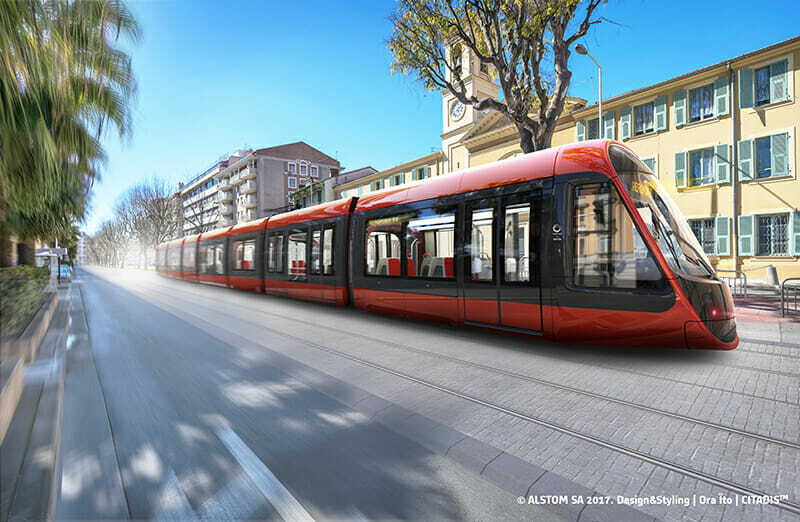 Six more Citadis X05 trams have been ordered for the Nice Côte d’Azur Metropole area. As well as the trams, Alstom will supply 22 ground-based static charging zones (SRS), which charge the trams between stations removing the need for overhead line equipment. SRS can charge a tram at a station in less than 20 seconds, said Alstom, and has been developed from the catenary-free APS system used in Bordeaux and Dubai. The €27 million order is part of an earlier contract for 19 trams, which are due to enter passenger service next summer between Cadam and Magnan, and related SRS equipment. The latest order is for the T3 section of the East-West tramway line which links Plaine du Var to Saint-Isidore via the airport. They will also be able to run on the T2 section of the line. Alstom said 12 of its French sites would be involved in the manufacture of the new tramway system. Production is due to begin in early 2019.